Welcome tot the craziest and most “gezellige” camping in the east! 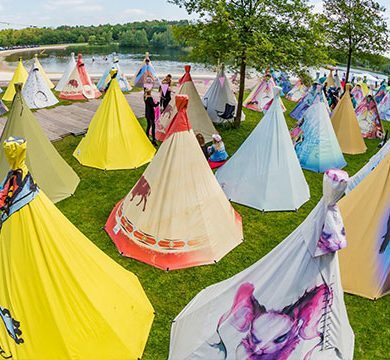 The cozy and creative Valhalla of Freshtival, right at the water, beach and festival site. This year you can spend up to 3 nights by us! 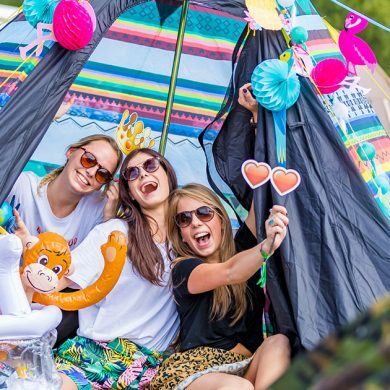 Unfold that tent, get down with your friends, and lose each other in the biggest silent discos in Twente. And the best part of it: tomorrow we do it again. Eat, sleep, rave, repeat! Do whatever you feel like. Your mini-holiday starts at Fresh Village. Everything you want to know about this fabulous camping can be found on this page. 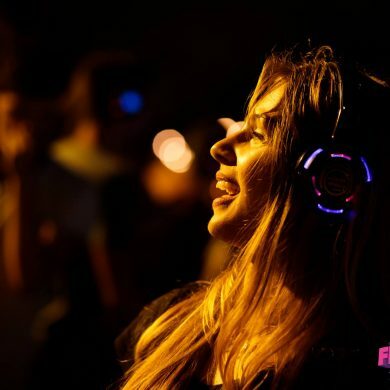 Wether you live around the corner or in Guatela-who-the-hell-cares; Fresh Village is the place to be during Freshtival. The party never ends here! Experience the most awesome pre-parties and unforgettable afterparties with your best friends. Lovely barbecues, crackling camp fires and many mány games. 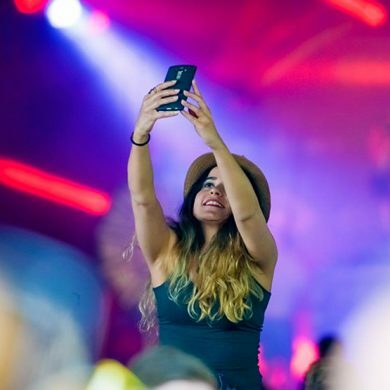 Make legendary memories at the Fresh Village camping, and much more! Why go home at midnight to go to bed THERE? Forget that! You can sleep at a stone’s throw away from the festival site. And not 1, not 2, but three nights! Sleeping is for losers? We have something for that. 😉 Afterparties until 4 in the morning at Fresh Village, and the two greatest Super Silent Disco’s of the east. 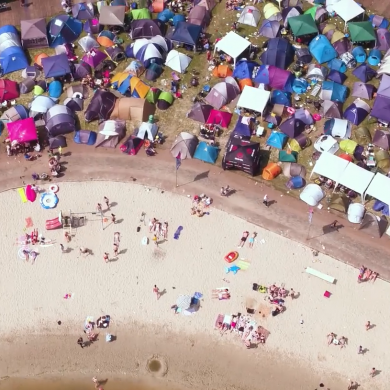 It’s nearly impossible to describe the ultimate Freshtival feeling. Fabulous, overwhelming, creative, crazy, sweet, rebellious… No, you just have to experience it. Because here, you’ll make memories for live. Flee from that daily rut! 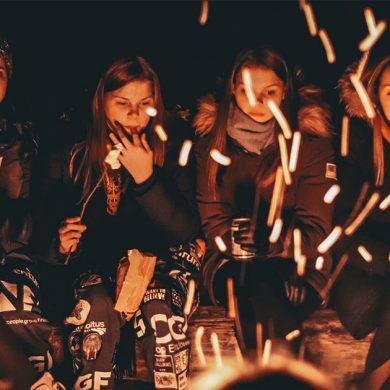 At the camping, you will really be away from all the obligations and you can enjoy a care-free weekend with your best friends. Fresh Village is so much more than just a camping. Anything goes here. Dive into a car wash yourself, join the pre-party right after the after party, bootcamp, barbecue, and play games until you can’t play no more. Can do! Freshtival has been a tradition for many people for many years. That Weekender is something you HAVE to tick off your bucketlist. We have solutions for ALL inconveniences. For instance: can’t sleep? Call the bedtime story team! They will come and read you a bedtime story, so you will sleep like a baby within no-time. It’s all about making memories! Start new friendships, find your new love or experience great adventures with your very best friends. You’ll be bringing up unforgettable memories of this legendary weekend for many years! Last but not least. You don’t need a bob or taxi! You simply walk to your tent and take the shuttle bus, car or camper in peace on Monday. Aside from showering, using the bathroom and sleeping, there’s so much more to do. 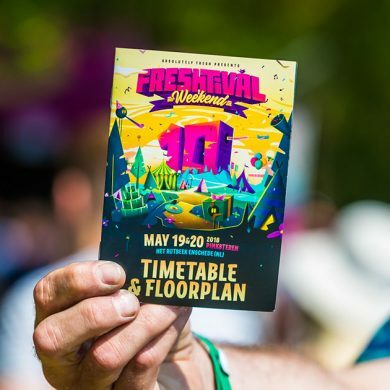 Freshtival does not end on the festival site. 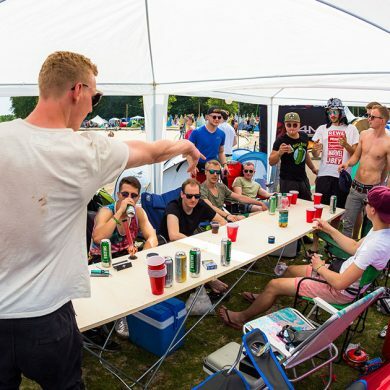 Many activities take place on the camping site so you don’t have to be bored for even one second. You can just enjoy your weekend with all the great Fresh Village extra’s to the max, with your best friends! Whoop whooop! Never going home…! The last banger sounds and then it’s over, the music fades out and the masses start moving towards the exit. Do you never want to go home either? 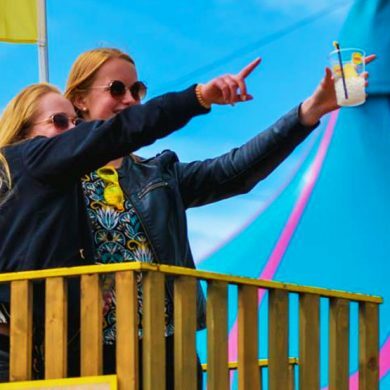 The welcome-party at Fresh Village starts on Friday already, and continues well into Saturday and Sunday! 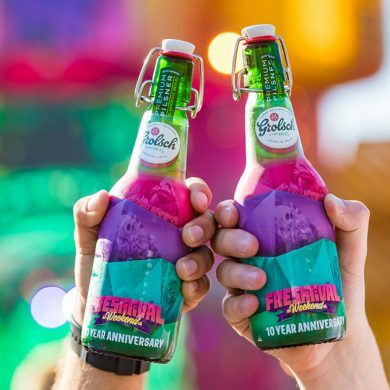 Until 4 in the morning we host the greatest silent discos of Twente (@Grolsch Area)! Hip hop, dance, rock classics and sing-a-long songs. Spontanious b2b sets and cool artists partying with you and your friends. No limits here! And afterwards… you’re very close to bed! Attention to all fitgirls & beefcakes! We know you want to look at your best at Freshtival, and we would love to help out. 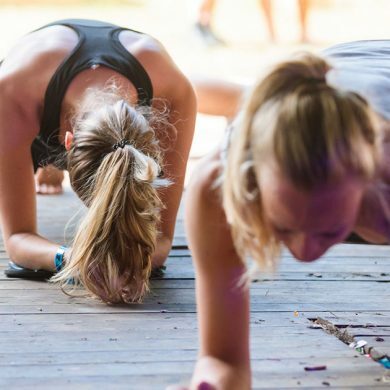 We’re hosting special bootcamps at Fresh Village. Yes: bootcamps! Squats, burpees, push-ups and bootyshakes. We’ll make sure those hips and muscles will be shaken loose so that you can present yourself in top fit mode at Freshtival. Come and play games! A broad variety of activities will be ready for you. Challenge your friends to a game of (beach)volleyball, mega beerpong, bubble-soccer, XL pingpong and much more. Rather play some table tennis? You got it! Check the ‘view info’ button for a quick impression! Come and play games! A broad variety of activities will be ready for you. Challenge your friends to a game of (beach)volleyball, mega beerpong, bubble-soccer, XL pingpong and much more. Rather play some table tennis? You got it! Feel like singing at the top of your lungs during Pentecost weekend, (even though you can’t sing)? We’ve got your back! A mic and Frans Bauer over the mini speakers is all you need during the bonkers Camping Karaoke! How’s the hair? Have your hair done at The Beauty Corner. This is the place for hairstyling, but also for a divine massage… mmmm! Packed your swimming gear yet? How does one recover from all that partying…? In a hot tub of course! 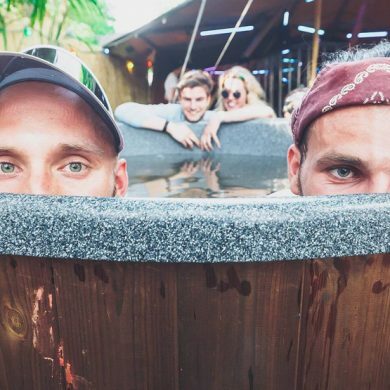 Nothing beats enjoying a lovely hot tube after a day of dancing, singing, partying, eating, drinking and shaking. Don’t forget your swimming short or bikini! Beerlovers unite! Drink your beer the way you like it! Do you love craft beers? A wide variety of beers ánd the iconic Grolsch swing-tops are available for you in our Craft beers café. Can you imagine that? The sun sets slowly, you’re sitting with your best friends in the sand, music is sounding in the background and you’re starting to get hungry. Time for a BBQ at Freshtival! At the lovely white beach of Het Rutbeek you can prepare your delicious meal on the joint BBQ’s! No more space available? Get yourself a disposable BBQ in the shop or bring your own. Please note: disposable barbeques ONLY! Do you like to gather around the fire, cozy with your friends? Or bring your (newly found) love to a heartwarming fire? Do it! We have several crackling camp fires on the camping site that allow for proper relaxing and all cliché essentials. Besides all the cool activities, a place to charge your phone, a shower, and a clean toilet would be nice as well. At Fresh Village you’ll find all facilities that you and your friends need. Think of a supermarket, a first-aid post and a make-up corner with power supply. Forgot your toothbrush? Finished your beer, or is it warm by now? 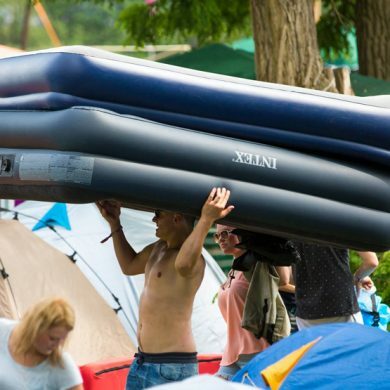 Inflatable mattress is ‘uninflatable’ for some reason? 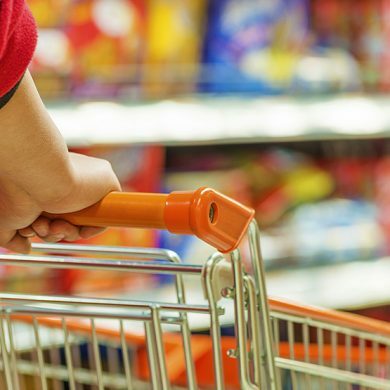 Countless of items can be found in our supermarket. 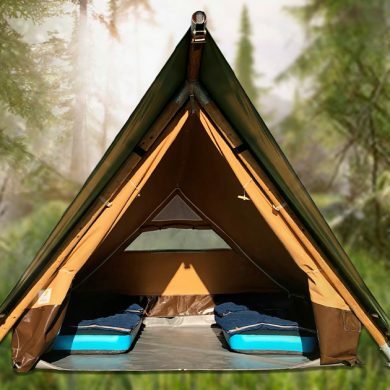 Camping items: powerbanks, ponchos, flash lights, seat cushions, inflatable matresses, beach chairs, tents…. You name it! Drugstore: from paracetamol to antacids and from contact liquid to sunscreen. Fresh Village is located on the beautiful beach of Het Rutbeek. Here you can relax in the sand, swim, build sandcastles, or get crazy… Anything goes! There are plenty of showers available to freshen up at Fresh Village. You’ll be ready to go after that good shower! Showers are open the entire day, except between 01:00 and 07:00 in the morning, due to cleaning and maintenance. On Monday you can shower until 10 a.m. There are of course also plenty of toilets on the festival grounds and the campsite. Never go on an empty stomach! At Fresh Village you can enjoy a lovely breakfast, a good cup of coffee to wake up, and some fresh and healthy fruit. The ideal foundation for another day of festival! Feel for a proper meal after all that dancing later? There’s definitely something for you on the camping. You and your rumbling stomach can visit us at the Village Supermarket to find a broad variety of meals and snacks. Because blowing up your mattress yourself is a nightmare, because you forgot your pump at home, or just because it’s a chore-and-a-half to do it, we offer a real inflate service! For all your inflatable matresses, dolls and crocodiles. So, you can save your hot breath for other moments. Getting to the camping from the train station and back without a worry! 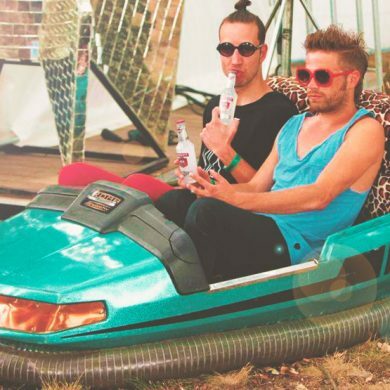 Our shuttle busses make using public transport to get to Freshtival really easy! The shuttle busses are ready to take you from Central Station Enschede to the camping and back. No need to make a plan. We’ll do it for you! Shuttle bus times will follow. The shuttle buses only run on Saturdays and Sundays, not on Fridays or Mondays. You can safely leave your valuables in one of the lockers. Want to secure your locker already? Order yours here! Have your ticket scanned at the information desk at the camping in exchange for your vault number + code. You can park your car at walking distance from Fresh Village! Just follow the yellow signs and we’ll see you there! Is your battery dead? No problem! Charge your phone at one of the charging points. Or just get yourself a powerbank at the Village Market! Lost? Can’t find your tent? Damn. Was it by that tree? Pretty sure it was somewhere here.. Did you make your way into the wrong tent many times now and are you starting to lose hope? Re-locate your tent team to the rescue! They’ll help you find your precious and trusted tent within no-time. For questions and cool stories! Got an urgent question, remark or suggestion? Lost your stuff or found something? Check our information desk, where you’ll find trash bags for example. Whoops! Accidentally hammered a peg through your hand, swallowed confetti or got your good mood smashed to pieces by the terrible opening line from your neighbor? The FAUD is ready to fix you up, day and night! Got your eye on your neighbor, a few tents down the path? Really not comfortable to approach them? 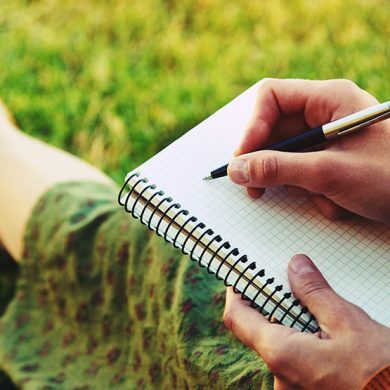 Write a letter! Our festival mail service delivers your love letters, funny cards, marriage proposals and fan mail at the right tent. Are you a die hard camper? Or do you rather have it fancy? Fresh Village has several options for accommodation and upgrade. There will always be something that suits you. Have a look! 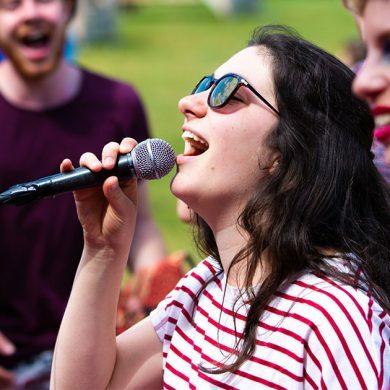 Did you get yourself a ‘Freshtival Weekend + Camping’ ticket? This gives you a standard camping spot at Fresh Village. Get your camping gear from the attic and set up a camp with your friends! Your own little lot under the sun! Check this link for more information and tickets. The Friends Areas are sold out! Who wouldn’t want to upgrade with their friends? Exactly! Rather do your duty on a private portable toilet? Love playing some drinking games? Wanna charge your phone meanwhile? Have a look through the several upgrade possibilities for the Friends Areas! Practical, comfortable ánd very cozy! 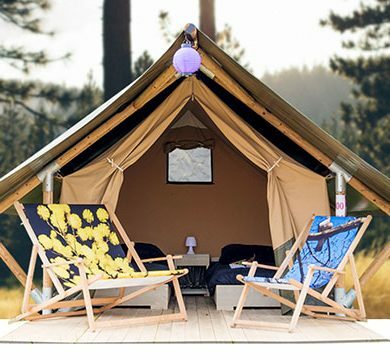 The Delta tent is a great and practical tent with its playful shapes, cheerful colours and wooden frame. We will make sure it’s set up and ready for you on your arrival! It comes with two sets of Nomad sleeping sets (sleeping mat, sleeping bag and pillow). Limited availability! Available in our ticket shop. The Safari tent guarantees the ultimate glamping feeling! We will make sure it’s set up and ready for you on your arrival! It’s equipped with a wooden floor, two made up box spring beds, night desks and two outside chairs. Enjoyment to the max! The Festipi is a great and comfortable Tipi in style. We will make sure it’s set up and ready for you on your arrival! On the cow-hide floor, you’ll find Thick Dreamcacther 7.0 SL sleeping mats, Nomad Bronco sleeping bags and soft pillows with pillowcases. In terms of sleeping, you’re sorted and don’t need to bring anything to this premium spot on the camping site! Ideal! Price for this tent: €69,- ex fee (3 nights, 2 persons). 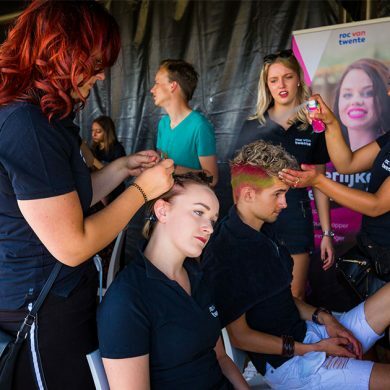 Upgrade your Freshtival experience to the next level! Found a nice caravan on Marktplaats recently? Or still have that popup camper standing around? Bring that stuff! Your caravan, camper or popup camper are welcome at Fresh Village. You will need a separate upgrade ticket called: ‘Caravan / Camper Ticket (with power supply)’. These tickets are available here! Congratulations! You belong to the select group that will stay at the one and only Freshtival campsite. To ensure that everyone is going to experience a Fresh-tas-tic weekend, we have drawn up a few guidelines to keep it all extraordinarily fun and extremely cozy. Read these carefully before you storm through the entrance gates with all you got! 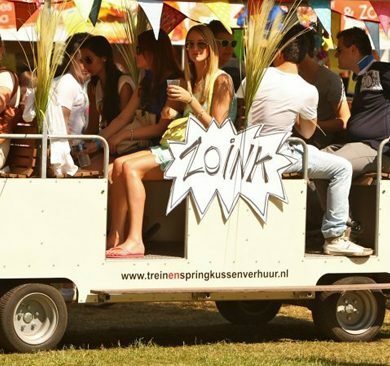 The camping is next tot he festival site on Recreatiepark Het Rutbeek. Therefore you can make your way from your tent to your favorite artist within no-time. Hop your way there, crawl your way back! The navigation address is Haaksbergerstraat 1010, 7548 PC Enschede. Make sure you switch off your GPS as soon as you see the yellow ‘Camping’ signs. How do I get to the camping? Arriving by public transport? Take the shuttle bus from Enschede central station to Fresh Village. You and your bags will be dropped off right in front of the entrance, so you won’t have to drag all your stuff around. Get your shuttle bus return ticket here. Shuttle bus operational hours: will follow later. With a valid camping parking ticket you have access to the parking area that’s located directly next to the camping site. For more information about transport, check this page. How to get access to the camping? Entering Fresh Village is only allowed with a valid camping ticket, which can be purchased here. Your bags will be checked at the entrance to see if your items are allowed. Please carefully read the camping regulations to find out what is and what is not allowed on the camping. I’ve got a Fresh Village ticket! Can I leave and return the camping in between? Yep! No problem. The wristband (camping + festival) allows you to leave the terrain (via the camping entrance) and return without hassle. Please note that bringing drinks onto the camping site is allowed only once, you will be checked for this at the entrance. Is there place for disabled people on the camping? We sure took disabled people into consideration for the camping! Please notify us by mail, they will take you through the possibilities. Please notify us by email, so that together we can look for a suitable campsite spot. How can I make payment on the camping? The currency on Freshtival and Fresh Village are our tokens, which you can use the entire weekend. Tokens can be purchased at the camping with your bank card and credit card (Mastercard / VISA / Maestro). Cash payment is possible on the festival site only. Can I bring my medication onto the camping site? If you need to bring your medication to the camping site or the festival, please inform us on which medication you need by filling out this form, and share a doctor’s note stating this as well. After approval, you are allowed to bring this medication onto the terrain (do not forget to bring the doctor’s note to the event!). Can I light a massive fire? Ehh, how about no? We provide chill-out areas with crackling fires on the camping site, but making your own fire is not allowed. This also applies to fireworks and big BBQ’s. Cars, bicycles, motorbikes, scooters, trailers , etc. Shopping carts (we only allow wheelbarrows and handtrucks that fit through the inspection gates, 70 cm wide). Glass or any sharp items. Power generators, batteries, car batteries, etc. (Draft keg beer) dispensing equipment (self-pour taps of 5L are allowed, as long as you do not exceed the maximum amount of liters that is permitted. One person may bring up to 4L max. You’re arriving with 4? Then you can bring (4×4=) 16 liter together. That’s 3 self-pour taps of 5L and a liter of milk ;-)). Drugs or any other narcotic that can be used as a drug. Weapons or items that can be used as weapons. Climbing and/or damaging fences and/or other installations or infrastructure. Graffiti, confetti, party poppers, paint, etc. Drones and professional photography and videography gear. Anything that might negatively influence the experience of others, is not allowed on the terrain. In case of doubt or disccusion about the regulations, the organization will always have the final say. Any violation of these rules will lead to removal from the camping and a denial of access to Freshtival. I’d like to have my own place (and tent) on Fresh Village. Which ticket is the one for me? 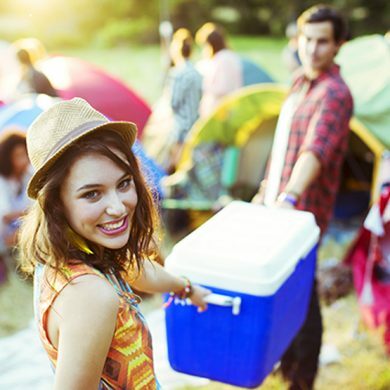 A ‘Freshtival Weekend + Camping’-ticket give you a standard camping place on Fresh Village. Sweet! So, get your camping stuff from the attic, bring your sleeping gear and put up your tent with your friends in the sun! All Camping Upgrades can be collected at the camping supermarket; Fresh Village Supermarket. Please note! Not all upgrades are available the entire weekend. Check this link for more information and tickets. The Friend Areas are already sold out! 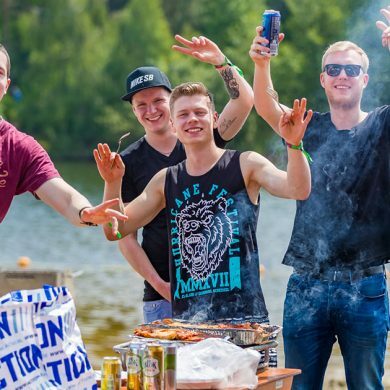 Will a ‘Friends Area-ticket’ give me access to the festival and the camping? Nope. The Friends Area-ticket is an upgrade, and this does not include festival entrance or camping entrance. These tickets are available separately in the ticketshop. Every visitor is required to have a Weekend + Camping ticket. Can me and my friends bring a caravan or camper to our Friends Area? Unfortunately caravans and campers are not allowed on Fresh Village. Only tents are allowed. Please note! We do not offer ready-made tents in the Friends Areas. What’s the size of the Friends Area? Please note! Max really means maximum! Take this into account. Go big or go home, sure, but it would be a pity to find out your party tent is too big for your Friends Area. Are there upgrade options for the Friends Areas? Most definitely! You can upgrade your Friends Area with a portable toilet, a fold table or power supply. Have a look through the several upgrade options here. What can and cannot be plugged in to the power supply? What’s allowed when purchased a ‘Power-ticket’? What can I plug in? Please note: do not use more than one pie iron, kettle or blow dryer simultaneously. What can I not plug in? > A ‘Power-ticket’ provides for one power socket (ready for you on arrival). Make sure tob ring your own extension cords! > The group of friends is responsible for the power usage. Abuse may lead to cutting of the power supply. What are the opening times for the camping? Fresh Village opens her magical gates on Friday 7 June at 15:00 and closes on Monday 10 June (Pentecost) at 12:00 (noon). When do I need to leave the camping latest? The camping needs to be clear and tidy at 12:00 (noon) on Monday 7 June. What’s the max tent size allowed on the camping site? The size of the tent needs to be reasonable compared to the amount of people sleeping inside. There is no size limit, but please be considerate and don’t take more than 2 m2 per person. You can’t just place your tent anywhere. The organization / camping host will get you a nice spot that keeps the fire exits clear. Tents that are set up beforehand are not allowed. It is also not allowed to take your tent onto the camping site with a trailer. You will have to carry your tent yourself or use a wheelbarrow / handtruck that fits through the inspection gates (70 cm wide). The organization and camping host reserve the right to reject tents or replace them. Yes you can! However, the same regulations apply as for normal tents. Party tents can only be placed at the direction of the organization / camping host, and may be 3 x 3 m max. It is not allowed to create a circle of tents with a party tent in the center. Or buy it in advance in our ticket shop and pick it up upon arrival on presentation of the ticket! Do I have to sleep in a tent? You don’t have to do anything you don’t want to! Aside from your own tent, there are numerous options for spending the night at Fresh Village. Check them out here! For instance, bring your own caravan or go for that ready-made Tipi, Safari- or Deltatent! When can I check in with my tent? When can I check out with my tent? Check out is possible until Monday 12:00 (noon). After that, your spot on the camping (and the entire camping) needs to be clear and tidy. Can I put up a tent for my friends who arrive later? Yes, but always consult the organization / camping host before you do. Can I park my caravan / camper on the camping? Sure you can! Found a nice caravan on Marktplaats recently? Or still have that popup camper standing around? Bring that stuff! 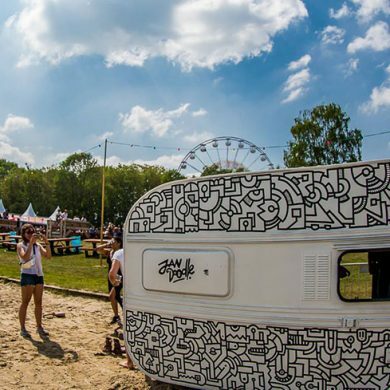 Your caravan, camper or popup camper are welcome at Fresh Village. You will need a separate upgrade ticket called: ‘Caravan / Camper Ticket (with power supply)’. These tickets are sold out. Please note: Only vehicles that are registered as ‘camping vehicle’ are allowed on the terrain. This does not include temporarily converted vehicles with a mattress. Caravans or campers longer than 7 meters are not allowed in. How big are the caravan/camper spots? A caravan / camper spot is 28 m2 max (about 7 x 4m). There will be enough place to stall your caravan / camper and to place two small (extra) tents by your caravan / camper. When can I check in with my caravan / camper? When can I check out with my caravan / camper? Check out is possible on Monday between 12:00 (noon) and 14:00. Can I also just book a hotel nearby Freshtival? Does camping not suit you? Do you value a little bit more luxury? But would you still like to stay nearby the festival site? Make use of the multiple hotels nearby Enschede. Be sure to book the right nights before making your reservation. Check the several options here. 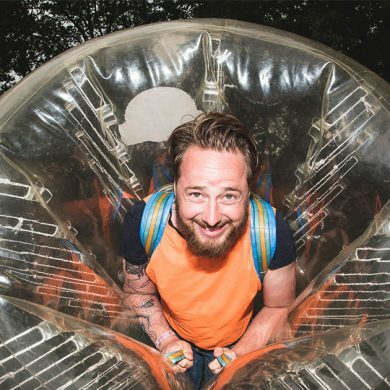 Are there ready-made tents at Freshtival? Do you love camping, but you also enjoy some comfort and luxury? 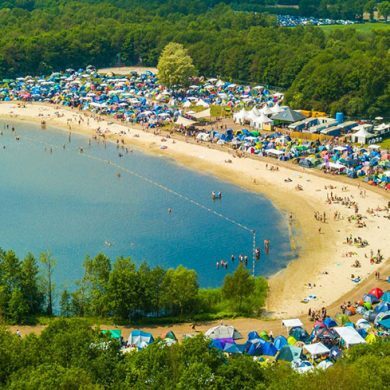 The ready-made tents at Fresh Village are there so you don’t have to worry about setting up camp, AND you’ll have a guaranteed spot on the premium camping. The ready-made tents can not be placed on a Friend Area. Is there power supply and water available at Fresh Village? There are no power and running water facilities at the actual camping spots. Of course there are plenty of possibilities for charging your phone, blow-drying your hair or drinking a glass of water. Power sockets can be purchased when combined with a Friends Area ticket. The caravan / camper ticket does include power supply. Powerbanks are available in the supermarket on the camping. Are there showers at Fresh Village? Sure thing! After a long day of partying you can sure use a good shower… and it’s at no extra costs! Are there lockers at Fresh Village where I can safely store my belongings? You can store all your valuables safely in one of the lockers. Want to make sure you secure yours already? Order one here! Can I park my car close to Fresh Village? You can park your car at walking distance from Fresh Village on the special camping parking space! Just follow the yellow signs and we’ll see you there! What kind of special activities should I expect at Fresh Village? Are there going to be afterparties after midnight again? You bet! We’re even doing pre AND afterparties. Nothing beats a dip in the water, right under a lovely spring sun. Between 08:00 in the morning and sunset, swimming is allowed in Het Rutbeek! What food and drinks can I expect at Fresh Village? 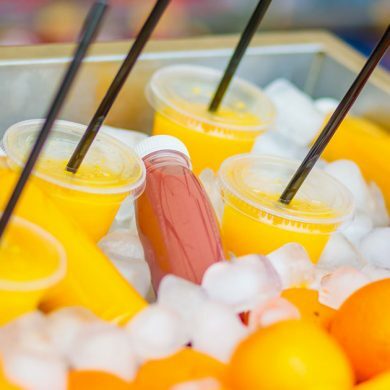 Located on Fresh Village is the Fresh Village Supermarket, where you’ll find everything you need for the weekend! Check out all products available here. 2 liters of non-alcoholic drinks (sealed containers only). Of course there are enough cold (soda) drinks available at the Fresh Village supermarket for reasonable prices. Check the selection of the mini-supermarket here. At the lovely white beach of Het Rutbeek you can prepare your delicious meal on the joint BBQ’s! No more space available? Get yourself a disposable BBQ in the shop or bring your own. Please note! 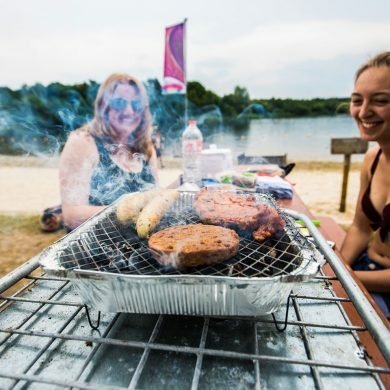 We only allow disposable BBQ’s on the camping, so please leave those massive BBQ’s at home! This promises to be one in the books! View the different tickets here.